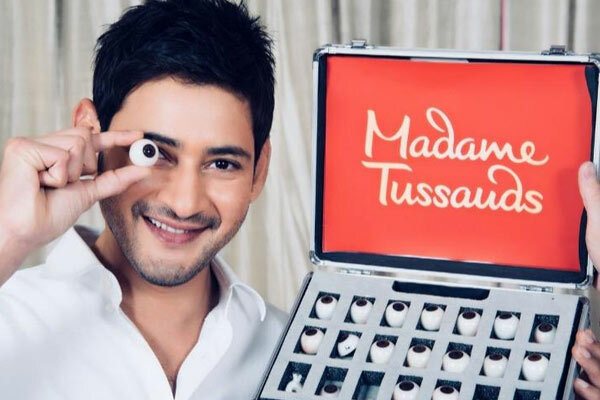 Not only fans of Super Star Mahesh Babu but also movie lovers got super excited when his life size wax statue got installed at the world renowned Madame Tussaud's museum in Singapore, last year. The team which was behind installing the statue in Singapore is planning to bring the statue and display it in Hyderabad for one day. This will enable Mahesh to officially inaugurate the statue. A source sharing the exciting news, revealed “And also, so that his fans and well-wishers get a chance to see the statue. It would be kept for a full day at the newly-constructed multiplex AMB Cinema that’s co-owned by Mahesh Babu. The date is yet to be finalized but it will be somewhere in the last week of February. Right now, the logistics of flying the statute from Singapore to Hyderabad are being worked out. Later the statue will be flown from Singapore to Madame Tussaud’s headquarters in London." Mahesh is currently busy shooting for his milestone 25th film Maharshi under the direction of Vamsi Paidipally. Decks Cleared for NTR in Bigg Boss 3?